History has narrated a story of a great man called Jesus. He was born to a virgin mother, lived an honorable life full of with miracles. But it was his death, which has proven to be an influential event that has shaped the full course of history since it’s beginning, and perhaps till the end of time. To the Jews, Jesus was a revolutionary zealot, who was supposed to be the King, and the Messiah. He fought against the corrupt practices of the religious establishment and the cruel occupation by the Romans. His messianic mission came short, as he was killed on the cross for the crime of sedition against the mighty Roman Empire. To the Christians, the execution of Jesus is not the end, but in fact the crucifixion signifies a new beginning. Jesus died for all human beings as a sacrifice for all of our sins, and in believing to his divine status, men are on the right path to attain salvation. To the Muslims, Jesus is known as ‘Isa ‘alaihissalam. He was a man, turned into a Prophet, a messenger of God, particularly to the Children of Israel. He conforms to the teachings of the earlier Prophets and Holy Books, awarded with various miracles and the Injil, to guide the Children of Israel to obey the rule of God, and the right path of living. Despite the differences of historical narratives and religious doctrines regarding this important figure, Jesus at best signifies the key values in living life in this world, of justice, hope and love. Such values are deemed so important for the survival of humanity in the current world. 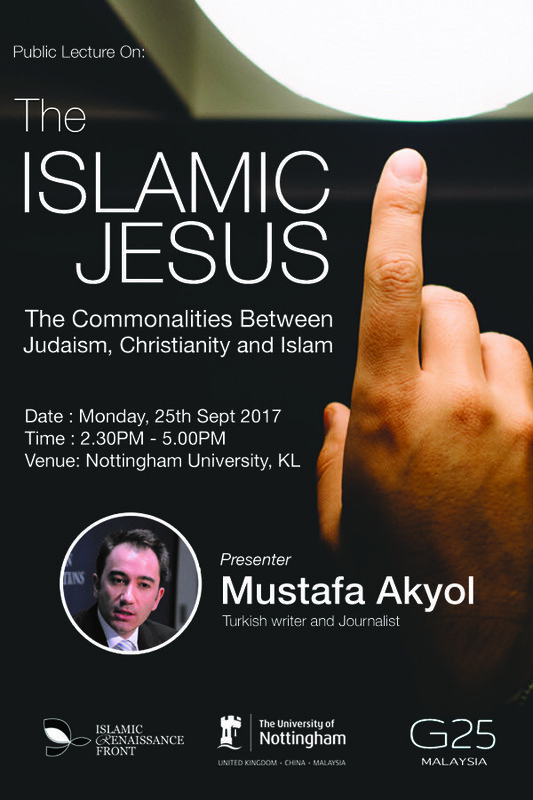 Reflecting on this important figure, this Public Lecture on “The Islamic Jesus: The Commonalities Between Judaism, Christianity, and Islam” shall serve as a platform to once again discuss the topic further, in good faith, for the benefit of all of us, regardless of our religious differences. Mustafa Akyol is a Turkish journalist and author, Mustafa Akyol studied political science and history at Bogazici University. 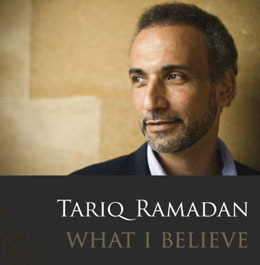 He is the author of the recently published “The Islamic Jesus: How the King of the Jews Became a Prophet of the Muslims. The book has received praise from Publisher’s Weekly, Kirkus Reviews, The National Catholic Reporter, and more. For more than a decade, he has been writing regular opinion columns for Turkish publications like Hurriyet Daily News, and recently for the Middle-East focused Al-Monitor.com. Since fall 2013, he is also a regular contributing opinion writer for The International New York Times. He has published six books in Turkish, including “Rethinking the Kurdish Question: What Went Wrong, What Next?” (2005). His 2011 book, “Islam Without Extremes: A Muslim Case for Liberty” an argument for Islamic liberalism, was published in the W.W. Norton. The book was long-listed for the Lionel Gelber Prize, a literary prize awarded by the University of Toronto for the best nonfiction book in English that seeks to deepen public debate on significant international issues, and praised by The Financial Times as “a forthright and elegant Muslim defense of freedom.” The book has been published also in Turkish, Malay and Indonesian. Mr. Akyol is also a public speaker who has given hundreds of lectures and talks on numerous platforms, including TED, where he spoke on “Faith vs. Tradition in Islam.” He has also been a commentator on public affairs programs, including the BBC’s “Hardtalk” and CNN’s “Fareed Zakaria GPS.” Since Jan 2017, Mr. Akyol is a Senior Visiting Fellow at the Freedom Project at Wellesley College, based in Massachusetts, USA.